If you are confused about Facebook Business Page Setup and management, you are not alone! Setting up the page itself. A business page is not the same as your profile page. Do not create a new Facebook account using your business name as your first and last name. This will not help your business. These are all tricky processes and require both a graphics ability and a solid knowledge of how Facebook works. Just adding a page and getting likes is not going to do you any good. You need to use your Social Media as a marketing tool to generate interest in your business. I can assist your business by offering Facebook Business Page setup and manage your Facebook page for you. Social Media is important to the ranking of your website because It gives your website “Social authority”, which helps Google determine the importance of your website over others. If you’re thinking “I don’t have time to set up and play Social Media“, you should re-think this. You don’t have to spend hours on social media. I can do this for you! Whether you like it or not, it does pull quite a bit of weight in your search rankings. Enough to make a difference! If you have a Facebook page with lots of likes and people sharing your posts, you must have something important to share in the eyes of the search engines. 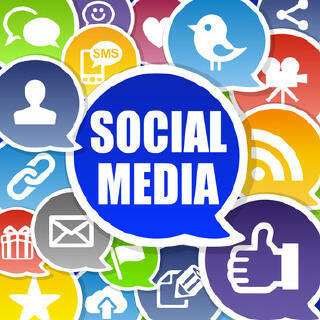 Social media pages not only need to be set up, they should be Optimized for search engines. I can set up a Twitter page, a Google Plus business page, Google map page and other social media sites. I can set up and optimize your Google map page, which shows up before the organic search results. If you have a physical location, this can increase the visitors to your website immensely. Especially if you are in a competitive business and your website does not come up on the first page of Google. There is also a map page for Bing/Yahoo that should be set up.